For indigenous peoples, resilience is rooted in traditional knowledge, as their capacity to adapt to environmental change is based first and foremost on in-depth understanding of the land. As climate change increasingly impacts indigenous landscapes, communities are responding and adapting in unique ways. The connection to their land is an important source of resilience for indigenous communities, but this resilience depends on an ability to nurture and manage this relationship. Victoria Tauli-Corpuz, Executive Director of Tebtebba (Indigenous Peoples’ International Centre for Policy Research and Education), points out that indigenous knowledge is “…locally fine-tuned, which is essential for climate change adaptation and long-term community resilience”. Speaking at a recent conference in Mexico, her colleague Willy Alangui presented their joint paper outlining the results of three case studies on traditional forest management, as practised by the indigenous peoples of Loita Maasai (Kenya), Miskitu (Nicaragua) and Dayak Jalai (Indonesia). For the indigenous peoples in each of these case study areas, the forest is not only a source of sustenance and livelihoods, but also the very basis of their identities, cultures, knowledge systems and social organizations. These community-based forest management strategies involve setting aside conservation areas, woodcutting and watershed management zones, which have an important role to play in reversing the process of deforestation, thereby sequestering carbon and promoting rural development. The Miskito of Nicaragua maintain three land-use types: cultivated fields, pastures and forest areas; in Indonesian Borneo, a typical Dayak Jalai village territory creates a shifting mosaic land-use pattern including patches of natural forest, managed forests, rotating swidden/fallow, and permanent fields. The multiple land-use systems that underpin these forest management strategies are both a livelihood scheme and a source of resilience. But a common problem in each of these communities is a lack of political control over their land and forests. 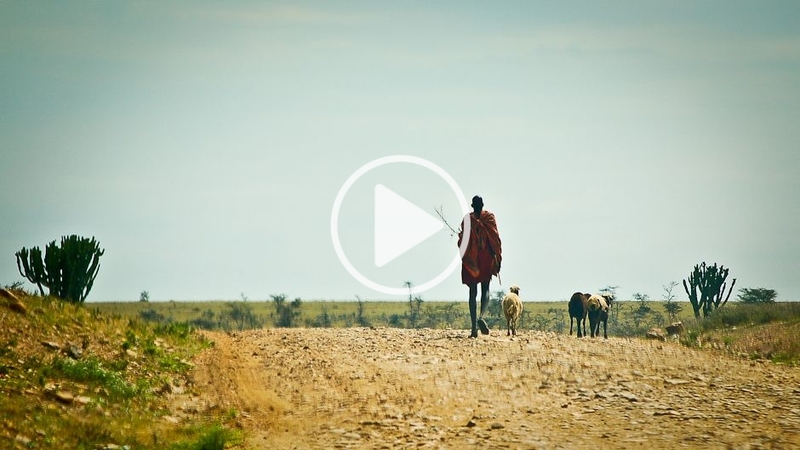 For the Loita Maasai, forest resources are held in trust by the Marok County Council on behalf of the Kenyan government. For the Miskitu, access to, and use and control of, natural resources are impacted by government norms and regulations and external settlers are causing deforestation. The Dayak Jalai are faced with government-promoted expansion of palm plantations and the continued operations of mining companies. Sabine Troeger heads the Climate Change Partnership Program at the Horn of Africa Regional Environment Centre and Network. Her experience with the Nyangatom, a small agro-pastoral group in South-west Ethiopia, suggests that their livelihood systems — although previously well adapted to their fragile environment — are suffering from a potentially fatal interplay between various adverse forces including climate change, which is challenging their entire social system. Troeger notes that the “finely-honed symbiotic relationship between local ecology, domesticated livestock and the Nyangatom people” has been disrupted. The Nyangatom report that their livelihoods are highly impacted by climate change and changing environmental patterns, namely failing belg rains (Ethiopia’s short and moderate rains from February to May) and increasing temperatures. People perceive this change as irreversible, naming such environmental indicators as disappearing plants and animals, and discuss having to modify their seasonal calendar. The social capital necessary for community resilience (captured in rules and regulations, ‘ceremonies’ of sharing and reciprocal support) is threatened as elements of social cohesion and identity fade away. Examples of this degradation include formerly cattle-rich pastoralists becoming poor, women becoming more dependent on their husbands, leather skirts — attributes of clan affiliation and family status — being replaced by cotton, and seasonal ceremonies falling out of sync as a result of changes in the timing of natural indicators. This, she explains, will require new institutional settings and the accordant shifts in societal hierarchies and power. “Rangeland management as well as schooling of the children will make the pastoralists sedentary… Is there any hope for adaptation and a way forward towards enhanced livelihood security?” Troeger asks. Only through a reshaping of society and the adoption of a still-to-be-defined institutional framework, she concludes. Chie Sakakibara is a cultural geographer at the University of Oklahoma (Native American Studies Program). Her current research looks at how vulnerable populations confront the environmental uncertainty of global warming through cultural practices. Her work focuses on traditional relationships with the bowhead whale (Balaena mysticetus) in the Alaskan Arctic, particularly among the indigenous Iñupiat people who call themselves the ‘People of the Whales’. The Arctic is experiencing some of the Earth’s most rapid and severe climate change, threatening ties between the Iñupiat and the bowhead on many levels. Temperatures are increasing at a rate twice the global average; Arctic sea ice cover at the end of the melt season has hit record lows, and this downward trend is accelerating. Increased variability in snow and ice conditions is having a profound effect on the distribution and migration patterns of many animals including the bowhead whale. Sakakibara talks about how deep the impact of climate change is on Iñupiat society. The difficulties range from lowered whale populations and the consequent increasing reliance on technology, to the need to travel further to maintain a connection to the whales. They also include the loss of Qalgi, sacred ceremonial places that spiritually and physically connect the people to the sea. However, she also notes the resilience of indigenous peoples to adapt to their changing homeland. On the other side of the Arctic, reindeer herding — a millennia-old tradition of more than 20 different indigenous peoples across the circumpolar North — is also being challenged by climate change. Changing weather and shorter winters are altering reindeer and caribou migration and feeding patterns, while shrubs are moving northward into the barren tundra areas, making access to food a challenge for the animals. Petr Kaurgin, a Chukchi reindeer herder from the remote Turvaurgin nomadic tribal community in North-eastern Siberia who works with the Snowchange Cooperative, speaks of the impacts of climate change on his community. “River ice is breaking up earlier and the birds are flying up north about one and half weeks earlier. Earlier, we used to migrate and reach the coast by mid-July. Now, we are missing the coast by 150km,” says Kaurgin. Some communities are working to address the changing climate by combining their indigenous knowledge with other information sources to try and predict weather events in order to direct their herds to alternate pastures — for example, by collaborating with NASA and using satellite research systems to complement their own observations. Mikhail Pogodaev, Chair of the Association of World Reindeer Herders, and Nancy Maynard, senior research scientist from NASA, have called this combination of indigenous knowledge and ingenuity, ‘indigenuity’, and notes that the success of such collaborations relies on co-producing knowledge, equal partnerships and including indigenous peoples in the process from the beginning. In the top north-eastern tip of Australia, the Western Arnhem Land Fire Abatement (WALFA) Project uses the traditional fire management practices of the aboriginal traditional land owners in conjunction with modern scientific knowledge to reduce the extent and severity of wildfires in fire-prone tropical savannah. This achieves substantial reduction in annual greenhouse gas (GHG) emissions through increasing strategic early dry season fire management, which decreases destructive late dry season wildfires that produce more potent GHGs such as methane and nitrous oxide. Other benefits realised by these skilled indigenous fire managers working on the project include protecting culture and biodiversity ‘on country’ (on their tribal land), and bringing in social and economic benefits to their communities. Jeremy Russell-Smith, a consultant ecologist to Bushfires NT and the North Australian Indigenous Land & Sea Management Alliance, is one of the project’s leaders. He also emphasizes that the success of the project has resulted from the full engagement and collaboration of all partners. Across the Pacific Ocean is a research team led by Dr. Bibiana Bilbao of the University Simón Bolivar in Venezuela, which has been investigating the traditional uses of fire by the Pemón people within Canaima National Park, a savannah-forest mosaic landscape. The research team has found that the Pemón use fire to manage their environment in a diverse and complex way, including the use of fire for shifting agriculture, hunting in forested areas and the cooperative burning of savannahs to prevent biomass accumulation, and reduce the potential for large catastrophic wildfires. The team has identified the valuable lessons emerging from both the North Australian and Southern African experiences to identify future pathways for Latin America. “It’s impressive how the traditional mechanisms of fire management are identical between Australian aborigines and the Amerindios even though we are so far apart and in two different continents,” says Bilbao. In light of the large contribution that savannah-burning makes to global emissions (approximately 60% of all carbon emissions from global biomass burning), and the potential for other countries and communities to benefit from the successes of projects like WALFA, the UNU’s Traditional Knowledge Initiative http://www.unutki.org/ is currently working to bring together a number of parties across the globe to develop carbon offset programmes that will assist them to mitigate climate change and transition to low-carbon growth pathways. Interested parties may contact the TKI directly for further information. As these stories and the accompanying videos illustrate, for indigenous communities around the world, dealing with impacts from climate change is not a prospect for future deliberation. Already, seasonal rains arrive late or fail completely, leading mobile pastoralists to sedentary lives; sea ice platforms break up earlier each year and sacred sites are lost; and familiar homelands and natural phenomena are disrupted. Traditional knowledge and livelihoods must adapt to these changes. But as they have always done, indigenous and local communities make careful observations about their lands, exchange information and experiences, and plan for the future. New ideas spring up, based on centuries-old knowledge, and partnerships between indigenous peoples and scientists are producing new knowledge to address the challenges of climate change. In the face of increasing climate instability, recognition of indigenous rights and respectful two-way collaboration is the path forward to build better early warning systems and support local efforts towards building resilience. • What have been your experiences with local communities adapting to climate change? • Do you know any examples of respectful two-way collaboration between indigenous communities and scientific research teams? Land use, climate change adaptation and indigenous peoples by Kirsty Galloway McLean is licensed under a Creative Commons Attribution-NoDerivs 3.0 Unported License. While these measures are to be encouraged, I think it should be stressed that they are being plucked out of our past, and pasted over our present. Yes, massive increases in population pressure are certainly adversely impacting our planet! But the knowledge and experience gained via a long and successful history of adapting to change that is held by many indigenous peoples and local communities contain lessons that are proving to make a difference to our present problems. Reintroduction of traditional fire management practices into northern Australia, for example, has been shown to reduce emissions from savanna fires by hundreds of thousands of tonnes of carbon dioxide equivalent over baselines established under ‘western’ management techniques – a clearly measurable benefit for our present by bringing back a measure from our past. The spelling is Nyangatom, not nyngatom. Don’t believe everything you read in a report somewhere. How many days did the author of the Nyangatom report spend there? Things are certainly changing but to point the finger at climate change while pretending to be an expert on the culture without any data is disingenuous. It’s not even clear how climate change would be “potentially fatal interplay” causing their social system to unravel. Thanks for catching the spelling error, will try to get it updated. The Nyangatom report was based on 13 months of field work in 4 regions – Tigray, Amhara, Oromia, SNNPR – by two intercultural teams of 29 experts and students between 2009-2010. As noted in the article I do agree with you that climate change is but one of multiple adverse forces challenging the social system. The Nyangatom report mentions two patterns of what could be considered ‘mal’adaptation to climate change resulting in societal change – the need to move cattle to alternative pastures where the herders feel the need to sell cattle in order to buy necessary items (changing cattle from status to market value); and death of livestock due to drought, lack and irregularity of rainfall, increased temperature and more frequent and more destructive hailstorms in the highlands, which leads to complete abandonment of the agro-pastoral lifestyle. Other contributing forces include restricted access to resources through government regulations, impacts from biodiversity loss and invasive species, conflicts for land and resources, etc.